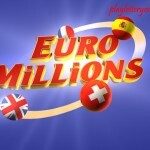 The EuroMillions lottery results are in. The winning numbers from yesterday’s draw were 10, 28,33,48 and 49 while the lucky star numbers were 1 and 10. No tickets matched the winning numbers and hence the £12 Million jackpot is slated for a roll over. This is contrast to last Friday’s draw where one EuroMillions ticket from Portugal matched all the winning numbers and scooped the jackpot. Yesterday’s draw wasn’t the luckiest of draws as it had only one ticket winning the second tier prize. For this draw, the second tier prize will be worth a whooping €945,977.50. This is not a small sum for the second tier prize winner. 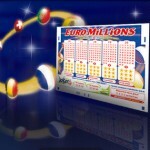 A total of 1.4 Million EuroMillions players won a prize in the Tuesday’s EuroMillions draw. Out of the 1.4 Million players, 875,360 matched at least two of the winning numbers and won the lowest tier prize of £2.70. 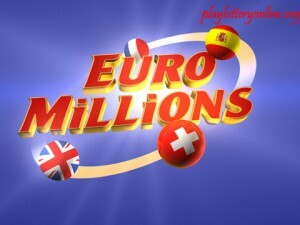 The EuroMillions raffle number that made the ticket holder a million Euros richer was TKY310787. While the EuroMillions plus ticket number from the draw was 8, 16, 17, 19, and 42. The joker number was 5 915 820. A quick statistical analysis of the winning number shows that the number 48, which is one of the least drawn EuroMillions numbers finally appeared in the draw. The other numbers that have least appeared in the winning numbers are 32, 48, 46, 43 and 39. 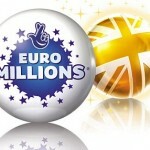 These are the number to expect in the future EuroMillions draws. 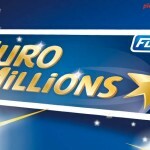 The next Euro Millions draw will be on April 20 and lottery officials estimate the jackpot prize to be worth £21 millions. 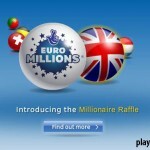 Test your luck by playing the Euro Millions lottery online.